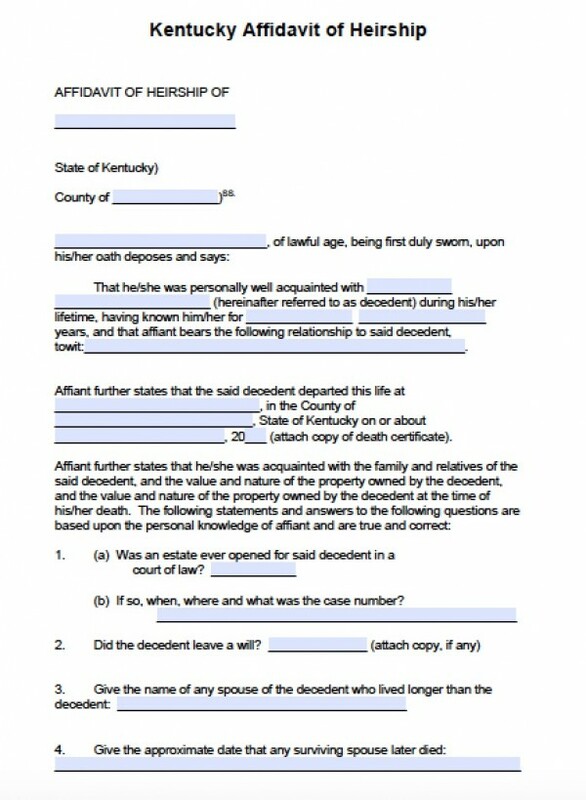 Per Kentucky’s statute KRS 382.335 & 382.240, successors may file for their deceased loved one’s personal property – such as bank accounts, 401(k)’s, and even final paychecks – by submitting a completed affidavit of heirship. 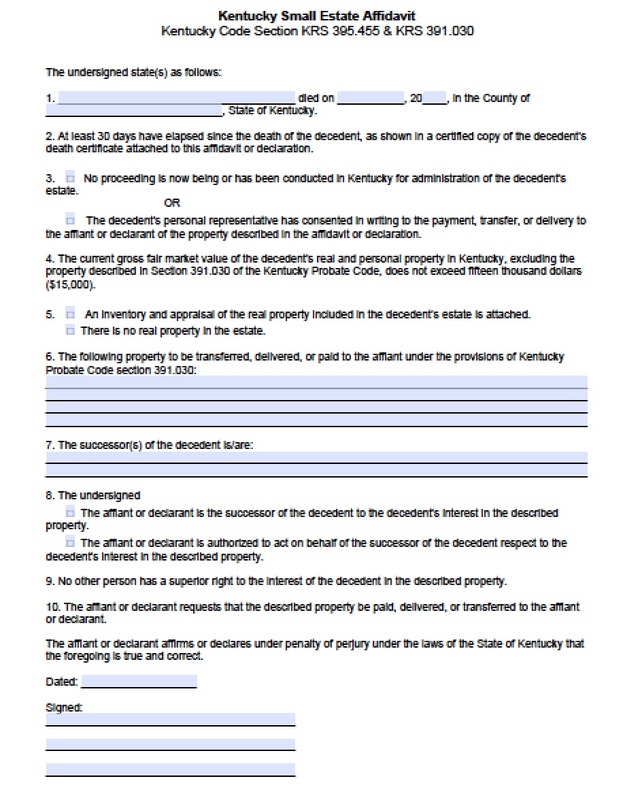 The decedent’s estate may not exceed $15,000, or it will go automatically to probate court for distribution if there is no last will and testament. If the affidavit of heirship is filed within 2 years, the family or other successors may claim the decedent’s personal or real property and distribute it as they find appropriate.